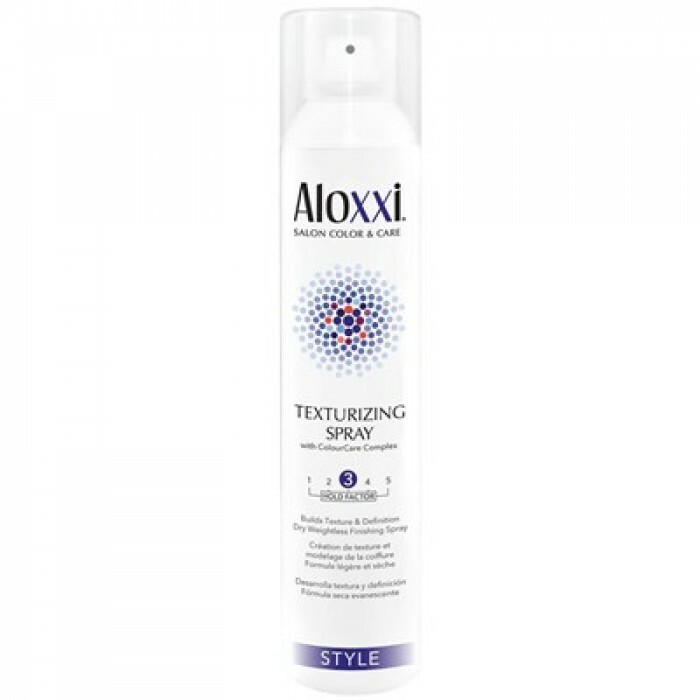 Aloxxi Texturizing Spray helps create tousled style by providing texture and definition. Contains a hold factor of 3 (medium). 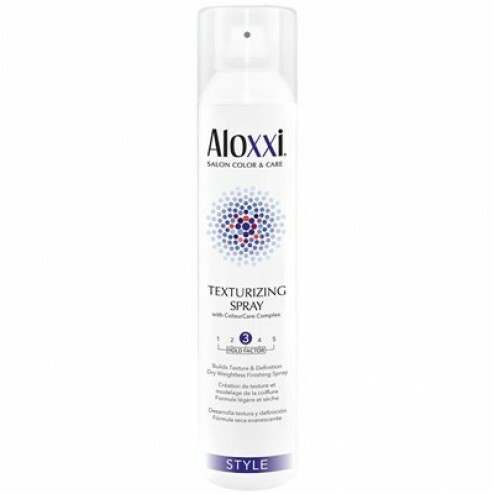 Aloxxi Texturizing Spray is a lightweight spray that builds texture and definition while creating tousled style. Texturizing Spray protects hair color from fading by blocking damaging UV rays. Layerable formula helps create volume without heavy residue. Creates texture and separation in all hair types. Provides UV protection to prevent hair color from fading.